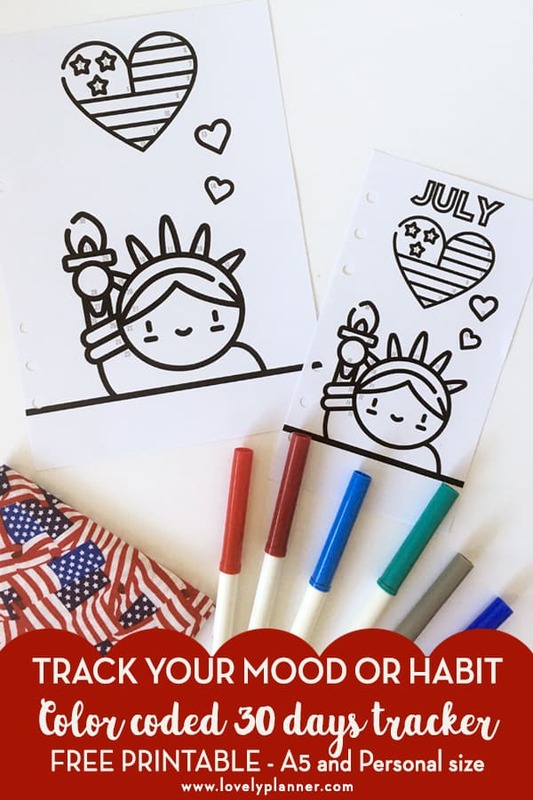 Since you guys seemed to like last month’s color coded 30 days tracker to track your mood or habit I decided to created another one this month with a USA theme design: you’ll get to color the Statue of Liberty and a Heart shaped american flag all month long. 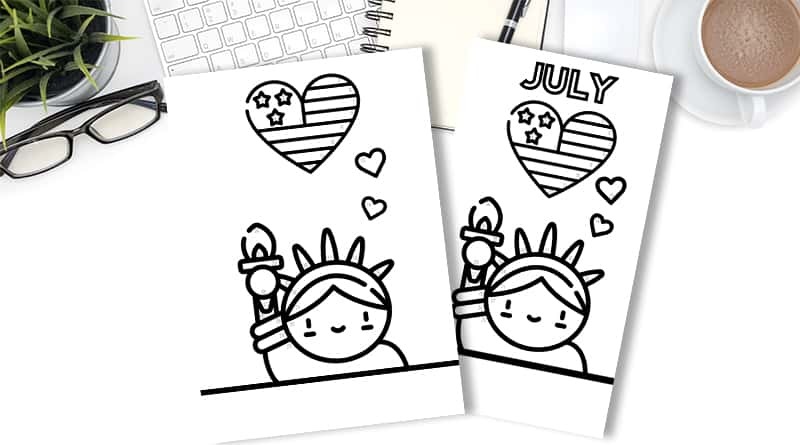 I’ve created 2 versions: undated or “July” if you’re planning on using it this coming month. Both versions are available in 2 sizes: A5 and Personal. I like to offer an undated version so that you can still download and use past or future months if you’d like to. This way, you’re free to pick the designs you like at anytime of the year. If you’re into bullet journaling you’ve probably seen or created this type of trackers before. It’s incredible how creative bullet journalists people can be! But not everyone has the time, talent, imagination or will to create its own spread, so I thought you might be interest in some bullet journal inspired printables. So, let’s start with this cute color-coded tracker! If you’re not familiar with this type of tracker, fear not, I’ll explain how to use it in this article. 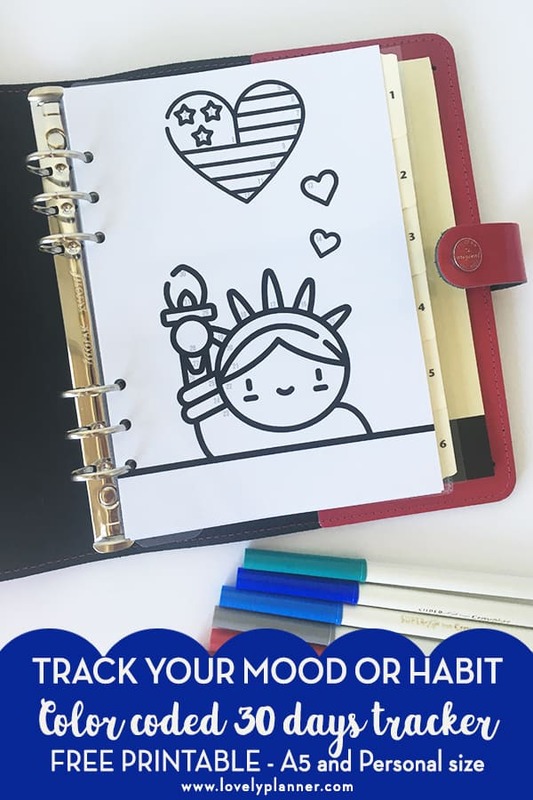 Indeed, this cute little statue of liberty and flag heart aren’t a simple drawing : it contains 31 zones (numbered from 1 to 31) that can help you track your mood, one of your habit or whatever else you’d like. To make any of these examples work, you simply have to create a Color code, with as many keys as you like. In this drawing, I left some space in the grass (at the bottom of the page) or in the sky for you to add your color code keys. You then have to color a zone per day (following the numbers), and you’ll end up with a record of your month’s mood or habit! I’m sharing this file in A5 and Personal Size. To make printing easy, I created a PDF that you can print on US letter or A4 paper (make sure “scale” is 100%), with cutting marks to cut the paper to A5 or Personal size. 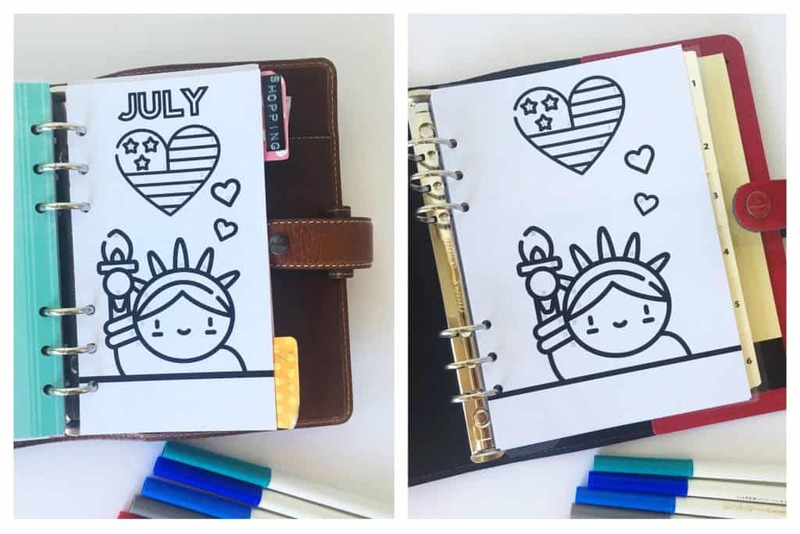 Simply Print, cut following the cutting marks, punch holes and insert in your planner! 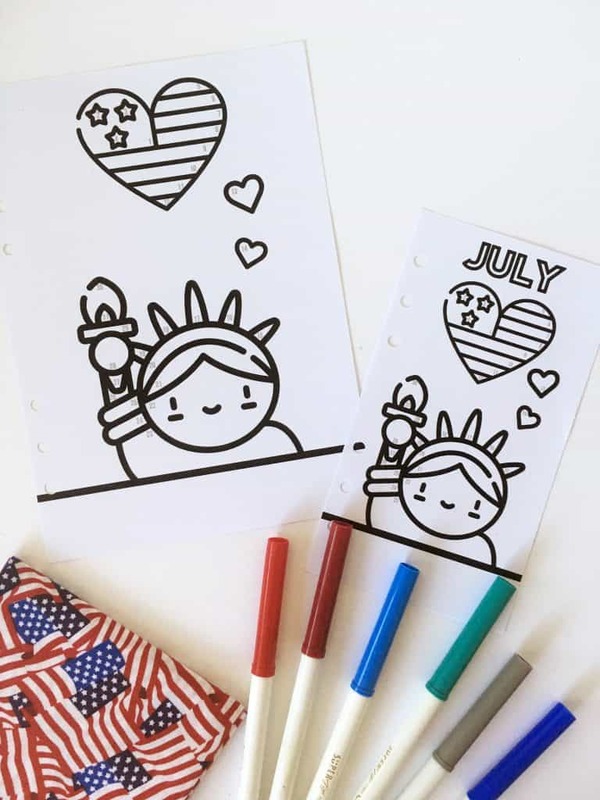 If you want to print on paper that is already cut for your planner, of if you want to use a different size, I’m including a link that will lead you to the JPEG files. 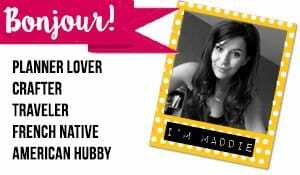 FAQ: Discover my best printing tip: How to print for free or super cheap?